Norman Fenske made his final flight and joined his Heavenly Father on May 10, 2018 at the age of 91 years. Born on Easter Sunday, April 17, 1927 during a blizzard, his family told him the Easter Bunny brought him. Norman was the 4th of 6 children born to Albert and Minnie (Majewski) Fenske. He was raised on a farm in Dorchester, WI and times were always tough. He met Beverly Genrich in grade school at a softball game. She was his one and only sweetheart and later they married in 1952. He joined the Air Force in 1945, just as WWII was ending and had hoped to be a pilot. But there was a quota and he was told he would become a weatherman and teach weather to other pilots instead. As soon as he was discharged from the service, he earned his private pilots license and flew for years. His last flight happened when he was 85 years old. The instructor told him to land the plane and then proceeded to tell everyone, "that was the smoothest landing I've ever had!" That was one of the greatest joys Norm ever had. 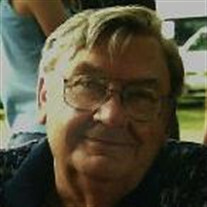 Norm spent most of his life working for The Farmers Union Co-op (now called Cenex). He was first a bookkeeper, then managed in 2 locations in WI. He also managed a John Deere Implement Dealership for a few years. He always wanted to own his own business and purchased Wolf River Liquors in New London, WI and kept it until he retired. During his life he was very involved with leadership. He was mayor of Ellsworth, WI for 7 years, president of the WI Farmers Union Manager's Assoc., president of the DEM Transport Assoc., Lion's Club member, and founding member of the Ellsworth Golf Course. He helped design and construct this course. He was an avid golfer and had a unique cross-over right-hand grip. He once scored a hole-in-one on that course. Norm always said his best times were spent with family. Norm and Bev were married for 64 years before Bev died in 2016. This marriage produced 5 children. Oldest and only daughter, Deb (Steve) Morgan of Faribault have 2 children: daughter Stefany (Jake) Ullery and their 2 sons, Rio and Parks; and son, Aaron (Marina) Morgan and their 3 kids, Ayden, Avalon and Gwendolyn. Norm's first son, Kevin, died in 2015. He is survived by his ex-wife Mary and their 3 sons: Jason Fenske and his 2 boys, Chase and Gavin; Rev. Aric (Marie) Fenske and their 4 girls, Madison, Alexis, Halie, and Marta; and Christopher and his 2 sons, Cole and Caleb. 3rd child, Kent Fenske lives in Minneapolis; 4th child, Scott (Glenda) Fenske of Plover, WI have 2 sons, Jordan and Ethan; and 5th child, Kurt Fenske lives in Gleason, WI. Norm was a man of few words but liked and respected by all. His signature smile will never be forgotten. He valued integrity and always gave you a 2nd chance. He never muttered a swear word or said anything bad about anyone. In 2014 Norm and Bev moved from their beloved "Packer" country to live in Faribault, MN to be closer to only daughter Debbie. They moved into Faribault Senior Living and found so many friends. They had the best care and received so much love from the awesome staff and caregivers there. As "Amazing Grace" was being played, the staff lined the hallway and entry area and showed their respect as he was taken away for the last time. Our family will never forget! On June 30, 2018 the family will gather to remember and celebrate Norm's life. As were his wishes, his ashes will be taken to the lake and cabin in Northern WI.